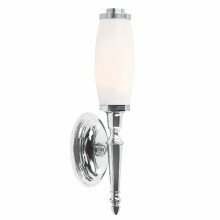 An elegant, IP44 rated, one lamp wall light suitable for bathroom use. An attractive clear glass, spherical lamp combines with a stylish polished nickel sconce to create a highly desirable light piece for your home. 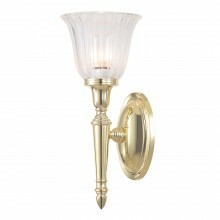 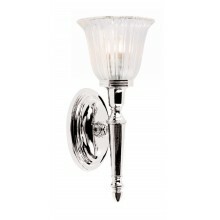 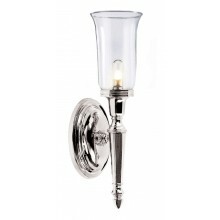 The perfect finishing touch for a luxurious bathroom, this light would also look great in a hall or living space. Its clean lines and timeless classic design would fit effortlessly into a variety of interior decoration schemes. 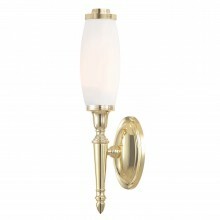 This wall light uses a G9 40W lamp.